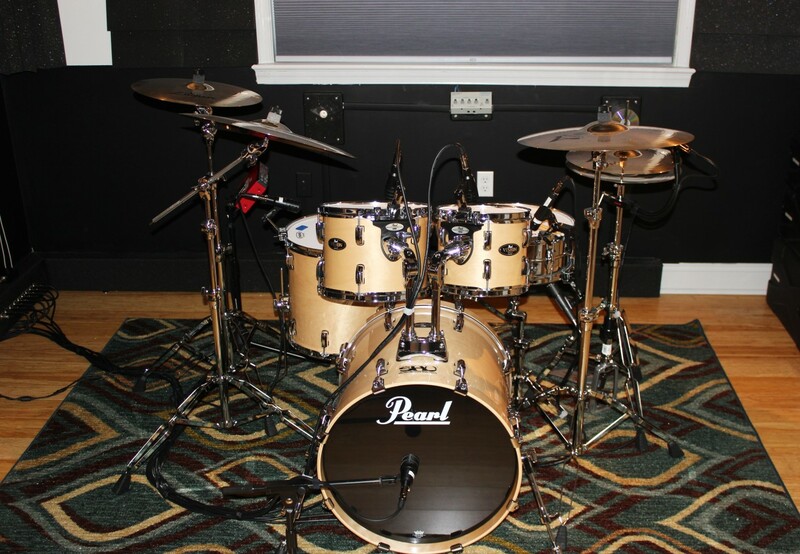 This drum set is ideal in the studio. Birch drums feature boosted high frequencies, slightly reduced mids, and a good low end punch, ideal for recording with extra presence and cut. Evans Level 360 G2 heads deliver warmth, focus and depth. Zyljian Custom A cymbal pack includes a 20″ ride, 16″ and 18″ crashes, and 14″ hats. -this is a fully matched cymbal set with a clean consistent professional sound. This workstation is designed with the professional drummer in mind. 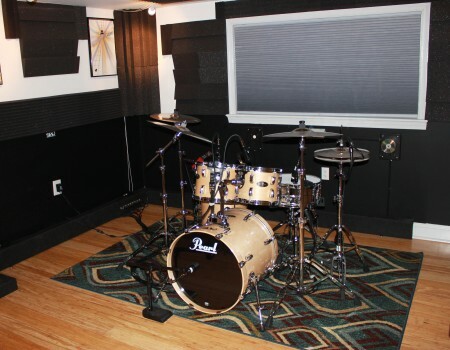 We’ve got drum mics from Audix, Shure and Audio-Technica, Kelly Shu kick drum mic setup for that powerful kick drum sound. EX-29 Extreme Isolation Headphones by Direct Sound designed by a drummer for drummers allow you to hear what you need to hear clearly without ear-damaging levels or outside distractions. 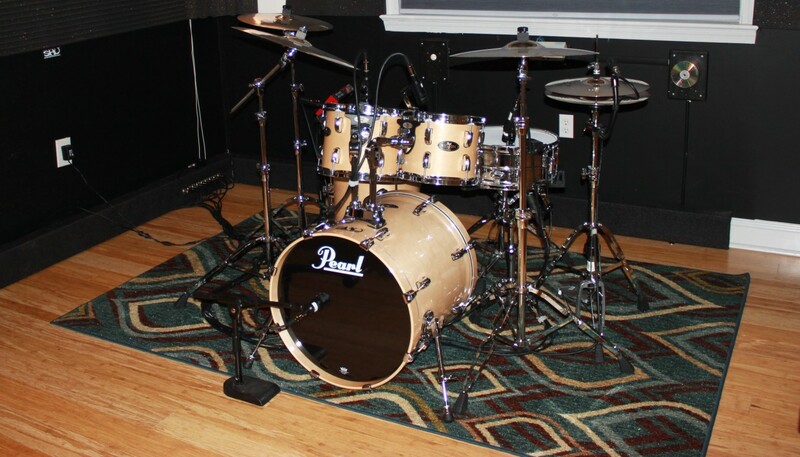 Addictive Drums has some of the world’s most popular drum kits, and they’re available with our Pearl drum workstation. Whether you need your drums to sound open and crystal-clear, produced and radio-ready, or grungy and heavily distorted, AD2 has studio-grade tools to get the sound and feel you want. 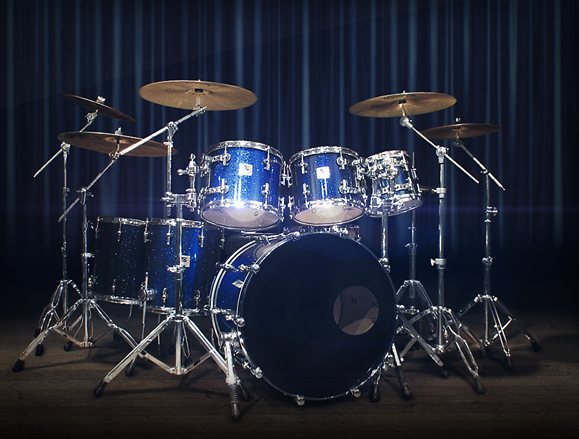 Create expressive, complex drum parts using rare, vintage, boutique and classic drumkits. Recorded at AIR Studios in London, BFD2’s sound library combines extreme realism with stunning sound quality. 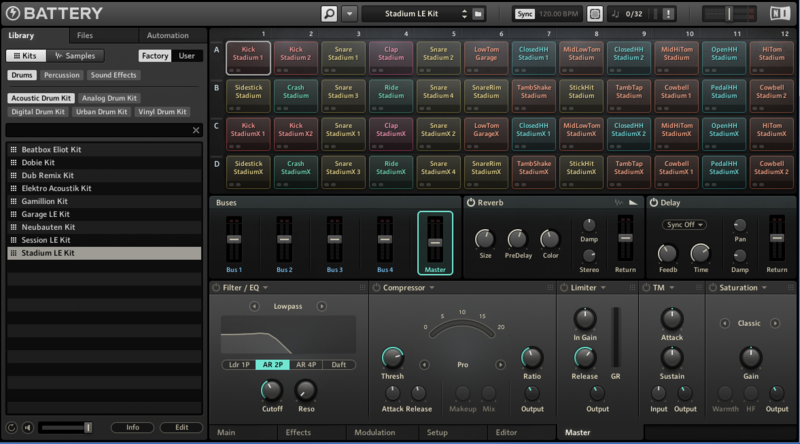 Mix your drums with flexible routing, submixing and built-in EQ, compressors and other effects. 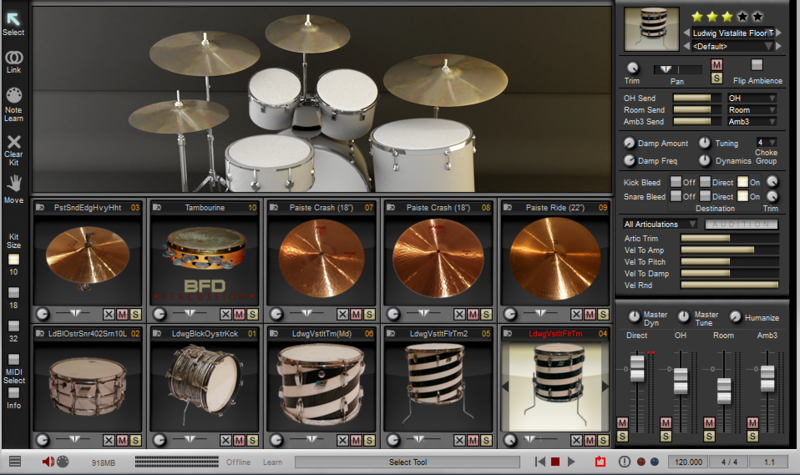 Battery provides a huge library of orchestral and Latin percussion instruments that can be played right from our drums. 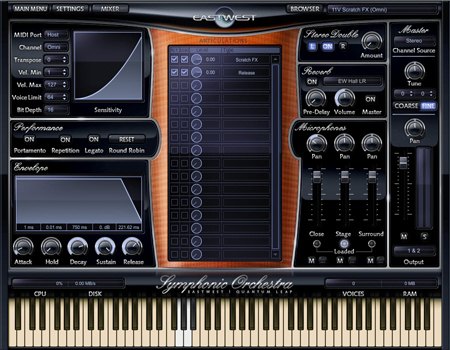 East West Symphonic Orchestra provides a complete Orchestral Percussion library. Cymbal swells, timpani rolls, and bell tree glissandos are just a few of the samples unique to orchestral percussion. Play them from our drums or from one of the keyboards in our keyboard workstation.